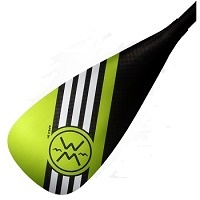 Stand Up Paddle Boards or SUPs, are a fast growing sector of the watersports market. They are increasing in popularity for a variety of reasons as they are great fun and the inflatable variety of SUPs packs down very small so is easy to transport and store at home. A quality cheap inflatable stand up paddle board starter kit, quick to pump up and perfect for beginners. Quality Blow Up Stand Up Paddle Board. Package includes: Board, High Pressure Pump, Leash, 3 Part Paddle, Carry Bag and Repair Kit. 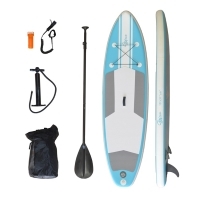 An ideal starter package to get you enjoying stand up paddle boards. Amaze your friends with these Mirage pedal drive SUPs.